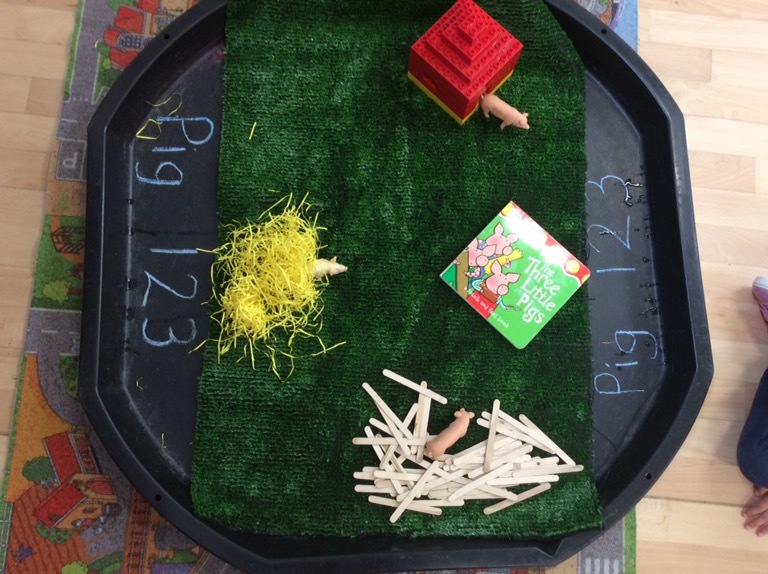 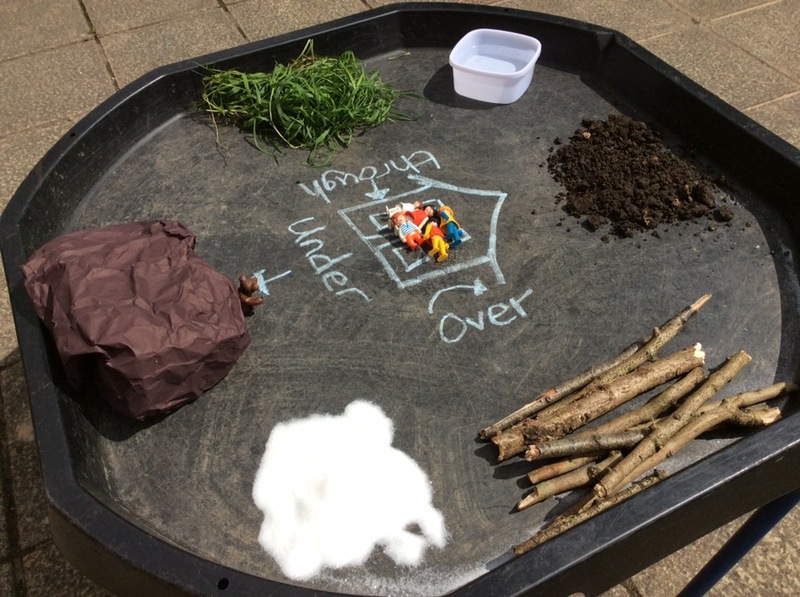 Tuff tray fun with some of our favourite books last week. 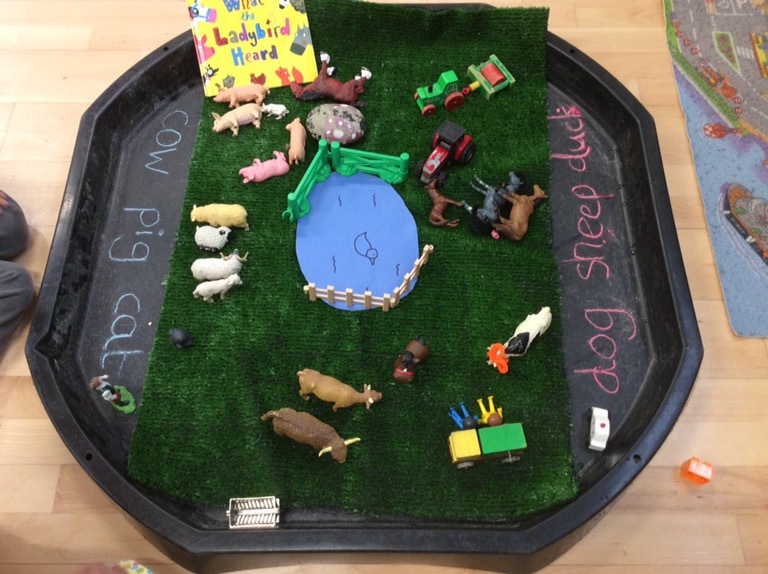 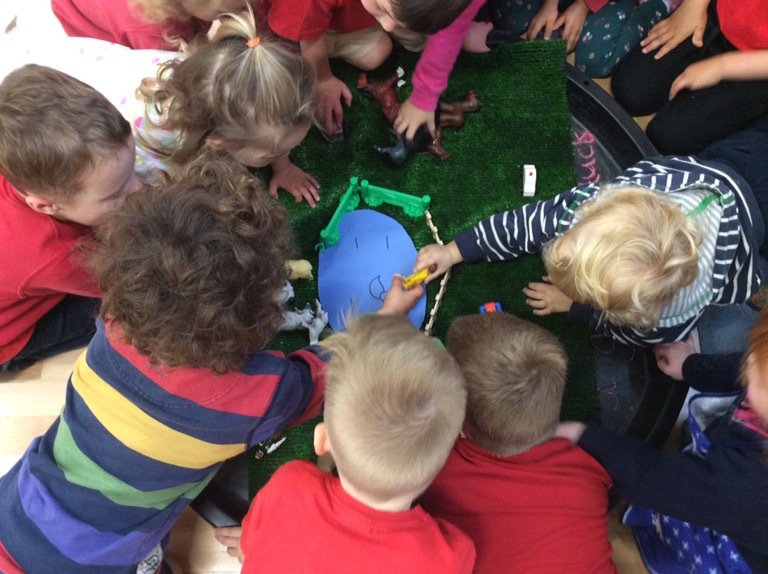 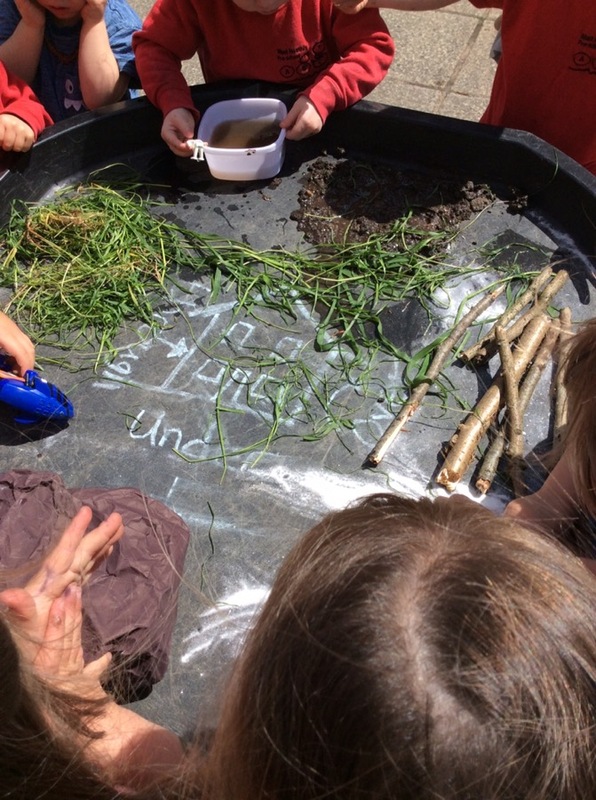 We’re Going on a Bear Hunt, What the Ladybird Heard and The Three Little Pigs. 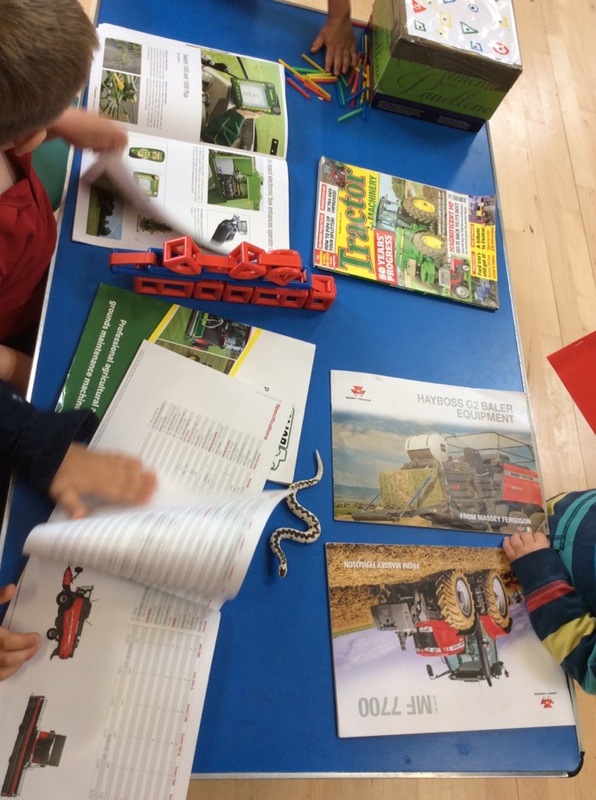 One pupil also bought in his most treasured tractor books.